A conversation with a friend today led to us asking the question – how did Christianity become so de-radicalised? After all the story of the early Church, both in Acts and as implied in the Epistles and Revelation, seems to reflect a community that was at odds in almost every way with the surrounding culture. How did we become so at home in the dominant culture? When did “taking up our crosses” come to refer to something other than directly confronting the dominant culture of idolatry and systems of injustice? Can we really say we are Christians, meaning “little Christs” or “followers of Christ”, when Jesus posed a real threat to the way of life represented by the dominant culture (enough to be liquidated) but most of us revel in it? Moderation is a delusion, and only extremists are in touch with reality. When our minds have become so co-opted by the dominant way of thinking and living in our world, we lose the ability to imagine another way. At this point we need to be reminded that Christians are meant to live according to a different story to what goes on around them, and we need to let that story permeate our every part. This is why Paul says, “Let the Word of Christ dwell in you richly;” this story, when manifested in our lives, animates a different Way. For a community like the Colossian church, struggling to live in the midst of the oppressive Roman Empire such words were a call to a different way to Rome’s violence, economic exploitation and idolatry. Paul’s writing was a radical manifesto in such a context! It is of course no less radical today. So why then do we feel at home in the dominant culture? Why do too many of us support global violence, market exploitation and cultural idolatry? 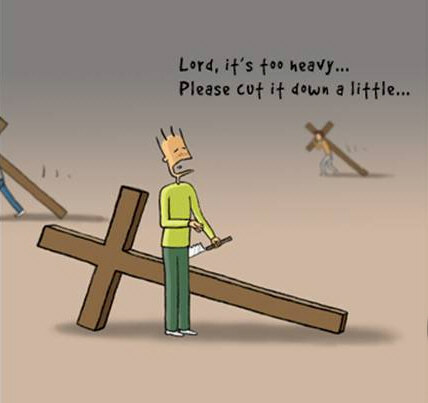 Perhaps it is called taking up our cross because it is actually meant to be hard. “But it doesn’t mean that!” I hear some of you saying. On the contrary, since crucifixion was, in the Roman period, a form of capital punishment set aside specifically for political rebels, Jesus’ reference to it surely alludes to this dimension (as opposed to, say, a contextless idea of self-denial or sacrifice). Walter Brueggemann, The Prophetic Imagination, (Minneapolis: Fortress Press, 2001). Why not your private, spiritual life? This is, of course, important, but if you read Colossians you will see that this is not what Paul is discussing. Posted on August 10, 2011, in Church/Ecclesiology, Mission, New Testament and tagged Colossians 3, Cross, Deradicalisation, Deradicalization, Prophetic Imagination, Radical, Walter Brueggemann. Bookmark the permalink. 9 Comments. Another ‘spot on’ post Matt. Today, and for the last 1600 odd years Christianity has been ‘wedged’ into the world’s contemporary lifestyle. Forget ‘Sunday ‘Christians’, Today we see the existence of ‘E & C “Christians’, ( Easter and Christmas), the only 2 days of a year where a person will actually stop and think about God, and what is today’s ‘Pastor / Priest ‘ or whatever doing about it?. Sweet FA . They are just happy to have ‘bums on seats’ rather than ‘hearts on fire’. When our Lord died for our sins, satan was cast out of Heaven and came down to earth with vengence on his mind. The first 400 odd years of Christianity was bathed in the blood of martyrs who paid the ultimate sacrifice for their beliefs. However, when satan realised that he could do more damage Within the ‘church’ via compromise and corruption of God’s word, That’s when REAL Spiritual Warfare started. Today if you asked a ‘Christian’ to forsake their XBox for an hours prayer, they would simply and conveniently ‘change churches’. Personally, I like the example that was demonstrated by the persecuted Christians in communist Russia in the 1930’s where Christianity was a crime, punishable by death. Christians were forced ‘underground’ just to worship the Lord. One night, at a secret location, believers gathered to worship God. When the door was broken down by a Russian army Captain, who declared that he would return in 5 minutes and whoever was still in the room would be shot, some people rapidly left the room. The army Captain returned in 5 minutes to be met by a dozen or so believers, he embraced them and said I only want to worship God with REAL Christians. (1). Would ‘Christians’ today sacrifice their lives for their ‘faith’. Draw your own conclusions. Because we are, by and large, its beneficiaries rather than its victims. Which means we need to make a choice between comfort and security (and all the justifications, theological and otherwise, that go along with it,), and suffering and vulnerability. Matt, you’re doing wonderful work. Thankyou. I wonder if you could do a post exploring that first part – what are the justifications – theological and otherwise – that allow us to continue to choose comfort and security? And to push the challenge further, to write it not just in the abstract sense – but you personally? A very challenging proposal. i was just having a conversation with a friend from the Salvos today about the need for this kind of thing. I accept your challenge Simon! You’ll see it soon. I was deeply challenged by Ched Myer’s discussion of Mark 16. He points out that the call to go to Galilee to meet the risen Jesus parallels the earlier calls to discipleship in the gospel. With one exception. Now we know where discipleship leads – to the cross. Mark is asking, will the readers (will I) go to meet the risen Jesus, now aware of the consequences of supporting his mission? There aren’t many obvious paths for me to take that would lead to the dominant system wanting to lynch me. But perhaps thats only because I’m not used to looking for them, and so used to rationalising them so that I don’t have to confront them. Thanks for the reminder, Matt. Very well Said. Conservatism has caused us to lose our sense of “Radicalisation.” For some reason we believe that “Christianity” is the bench mark for society to follow…..and so we try and politicise society to become a ‘Christian’ nation…through laws and regulations. We no longer give people the freedom to take of their masks and just be…and through peer pressure we cause our congregations to wear their masks of conformity; while inside people are dying an inner death of desperation for true identity. I was talking to a friend today that its only when we stop trying to live for Christ… in that by living for we live via a ‘christian’ framework of rules and regulations – instead allowing Christ to live in us and therefore we start to truly be transformed….that we truly become fully human. There is too much pressure, particularly for those in leadership. No wonder burn out rates are so high – people are not allowed to fail without being punished. I think you are right that our relationship with Christ is central to living like him. “Therefore, as you received Christ Jesus the Lord, so walk in him” (Col. 2). Colossians is so centrally about how to live as a Christian in the face of empire, but it is rooted in walking in Christ, and letting his Word dwell in us (that is, letting the story shape us). I think people can find Jesus by doing his works and mysteriously experiencing him, though I don’t think this can be sustained forever without some kind of conscious acknowledgement, however ambiguous it might be. Indeed the image of God is in everyone, whether Christian or not, and I suppose this is why people can often look like Jesus without consciously knowing him. At this point my sense is that “knowing” Jesus can begin and be expressed in a number of ways, though a conscious knowledge is irreplaceable. You’re writing is refreshingly candid and confronting Matt. Thank you!